On the Cannes Creative Leaders Programme, participants have the opportunity to engage and learn from the world’s most renowned creative mind minds! After four days of immersive classroom learning, participants set off to engage in daily festival fieldwork, group project work, and most excitingly of all, exclusive closed-door sessions with Cannes Lions speakers – a chance to learn and ask questions from true creative business pioneers. 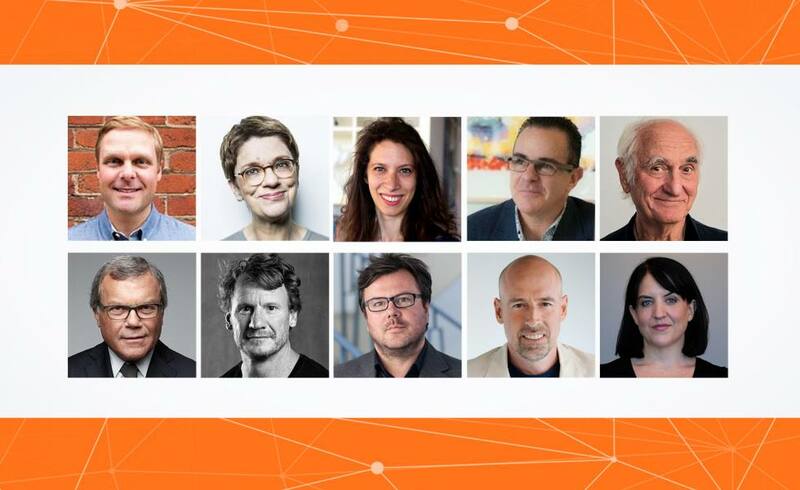 This year, we’re hosting an eclectic line-up at the top of their game in the creative industry, from best-selling authors and tech pioneers to advertising legends. Get to know our full line-up below! 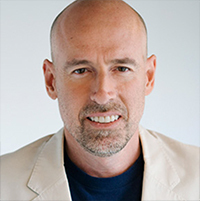 Author, Professor - NYU Stern School of Business, Founder - L2 Inc.
Scott Galloway is the author of New York Times Bestseller ‘The Four’. He is also the Founder of L2 and a Clinical Professor at the NYU Stern School of Business where he teaches brand strategy and digital marketing. In 2012, Professor Galloway was named “One of the World’s 50 Best Business School Professors” by Poets & Quants. He is also the founder of Red Envelope and Prophet Brand Strategy. Scott was elected to the World Economic Forum’s Global Leaders of Tomorrow and has served on the boards of directors of Eddie Bauer (Nasdaq: EBHI), The New York Times Company (NYSE: NYT), Gateway Computer, and UC Berkeley’s Haas School of Business. He received a B.A. from UCLA and an M.B.A. from UC Berkeley. 50 CMOs. 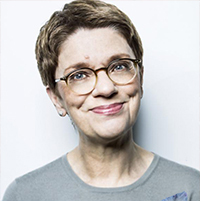 Dana is passionate about teaching and sharing knowledge, and has been invited as speaker by organizations such as Cannes Lions, the ANA, the 4As, Twitter and Facebook. Amongst Dana’s many speciality topics are client/agency relationships and new marketing ecosystems. Sir Martin Sorrell is former Chief Executive and Founder of WPP plc, the world’s largest advertising and PR group. After a three-decade career at WPP, Martin Sorrell was the longest-serving chief executive of a FTSE 100 company. Upon retirement from WPP, he founded S4 Capital, a marketing and advertising group aiming to provide global, multi-national, regional, local clients and influencer-driven millennial brands with new age/new era digital marketing services. 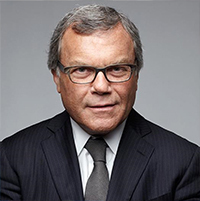 Martin Sorrell has served on boards and advisory bodies of a number of high-profile public, academic and business organisations, including several leading business schools, both in the UK and internationally. 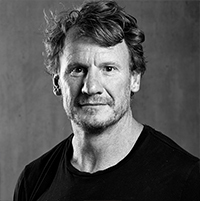 After six years at Leo Burnett Worldwide, Paul became Co-Founder of Contagious Communications - the global creative intelligence service helping agencies and brands deliver creative, innovative and effective marketing. Paul is Co-Author of “The Contagious Commandments” and has previously led the Berlin School MBA class on topics such as the changing landscape of advertising and consumer-company relations. Tracy Brown has been working in the creative industry for over 20 years. 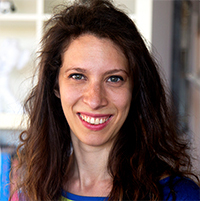 Through her progression from web designer, to creative director, to UX designer, to service designer and now to experience strategist, she has been able to trial different ways of getting the best possible experience for end users and the teams that deliver those experiences, across all industries, progressively refining her approach. She started her career in Cape Town in the late 90’s, moving to London at the beginning of the dotcom boom and relocating to Melbourne in 2014. She is a CX director, leading work across APAC, accessing great thinking about AI and technology that will change work itself. Her experience working with multiple organizations across cultures has inspired her to find a tangible solution to global workplace challenges expressed in “The Meritocracy Manifesto”. 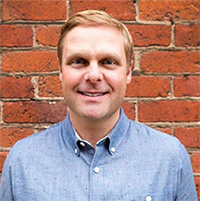 Andy Holton leads the Creative Strategy team at Pinterest, collaborating with brand and agency partners to bring innovative experiences and high-quality content to 200M+ million users every month. Recent partnerships with Target, W+K and BBDO continue to reinforce how integral branded content is to the user experience. Prior to Pinterest, Andy made the rounds in the agency world with stints in the creative, account and media departments at DDB, Y&R and OMD. When he’s not pinning ideas about Asian cuisine or sneakers, you can find Andy producing video for Pitchfork Music Festival or laughing with his kids. 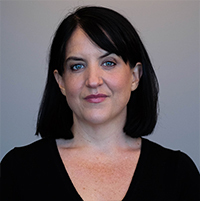 Lizzie is Co-Founder of Curve, a creative leadership and innovation company, working with senior leaders from organisations including Coca Cola, the BBC, HSBC and Universal Music to navigate change and industry disruption. She has spent her career helping brands, agencies and start-ups to design and develop products and services that facilitate new growth, believing that the best way to get new ideas out into the world at scale is to start by growing the confidence and capability of groups of people. 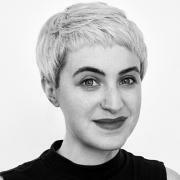 In addition to her work with Curve, Lizzie is a Mentor at Abbey Road Red, Universal Music’s start-up accelerator, and Director of Innovation Social, a global community of leaders in innovation and service design. She is also a Partner in Wok+Wine, a global social experiment that began in 2009, profiled by HBR as making the “economic case for serendipity”. Lizzie was previously Head of Innovation at global digital agency, Digitas, where she won the IPA’s inaugural Women of Tomorrow competition for her strategic work. She lives and works in London. Luis Miguel is Creative Chairman and CEO of ALMA, the most awarded Hispanic agency in 2018, earning 10 Lions at last year’s International Festival of Creativity. Innovator, mentor, and example to many, Luis Miguel is passionate about educating a new generation of multicultural advertising professionals and using creative communication to engage communities and address social issues. He has played an influential role in the evolution of the multicultural market, testified by his award-winning work for McDonald’s, Coca-Cola, and Nestlé. In ‘94 he started his agency, and soon after, McDonald’s and State Farm joined the roster. Twenty-five years later, both clients still trust their multicultural strategy to ALMA. Through his vision and leadership, and by creating a non-conformist culture, ALMA is the largest Hispanic agency in the US. Luis is a founder of the US Hispanic Creative Circle and was elected its first President until last year, when he became Chairman. 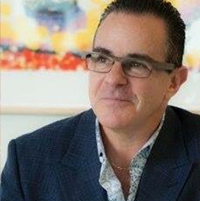 Most recently, Luis Miguel was named to the Culture Marketing Council - CMC’s Hall of Fame - an initiative that recognizes a select group of visionaries, leaders and luminaries who have made significant contributions to the development and advancement of the Hispanic advertising and marketing field. 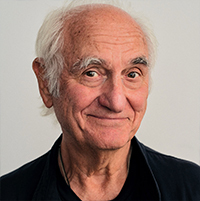 After 34 wonderful years in advertising, Michael Conrad retired in 2003. Born in Germany - “a country more famous for great cars and less famous for great ads”, as his friend John Hegarty likes to point out - Michael brought German engineering to global quality management in advertising, helping Leo Burnett Worldwide Inc. become “Global Agency Network” of the Year in 2000 (AdAge) and “Most Awarded Agency Network” in 2001 (Gunn Report). Under his creative leadership 27 Leo Burnett agencies were named “Agency of the Year” in their countries, some of them more than once. Michael began his career in 1968 as copywriter for Young & Rubicam, Frankfurt. 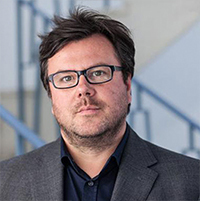 In 1972, then Creative Director at Ogilvy & Mather Frankfurt, Michael left with colleague Creative Director Walter Lürzer to start TBWA in Frankfurt. In 1975 Michael and Walter set up Lürzer, Conrad, subsequently winning “Agency of the Year” and several “Campaign of the Year” awards. In 1980 the agency merged with Leo Burnett Germany, continuing its growth and creative success. When Walter Lürzer retired in 1982 to launch “Lürzer’s Archive”, Lürzer, Conrad was renamed Michael Conrad & Leo Burnett. In 1986 Michael moved to Chicago to become President and Chief Creative Officer of Leo Burnett International, which included creative leadership on global accounts like Marlboro. In 1996 he became Vice Chairman and Chief Creative Officer Leo Burnett Worldwide. Michael presided over many juries of international advertising festivals, including “Cannes”, “AdFest”, “Clio” and “Golden Drum”. He serves as Dean of the Roger Hatchuel Lions Academy and is Honorary Member of ADC Switzerland, ADC*Europe and ADC Germany. In 2002 German business daily “Handelsblatt” and “Wirtschaftswoche” magazine inducted him into the German Advertising “Hall of Fame”. Find out more about this year's Cannes Creative Leaders Programme at the Cannes Lions International Festival of Creativity.